One overlooked aspect of Ayre’s remarkable life was a recipe collection she wrote in a small notebook, starting in 1917. She didn’t bother with traditional recipes- not a boiled dinner or pan-fried codfish to be found- but collected out-of-the-ordinary dishes for the time, along with ingenious ways of being frugal with leftovers. 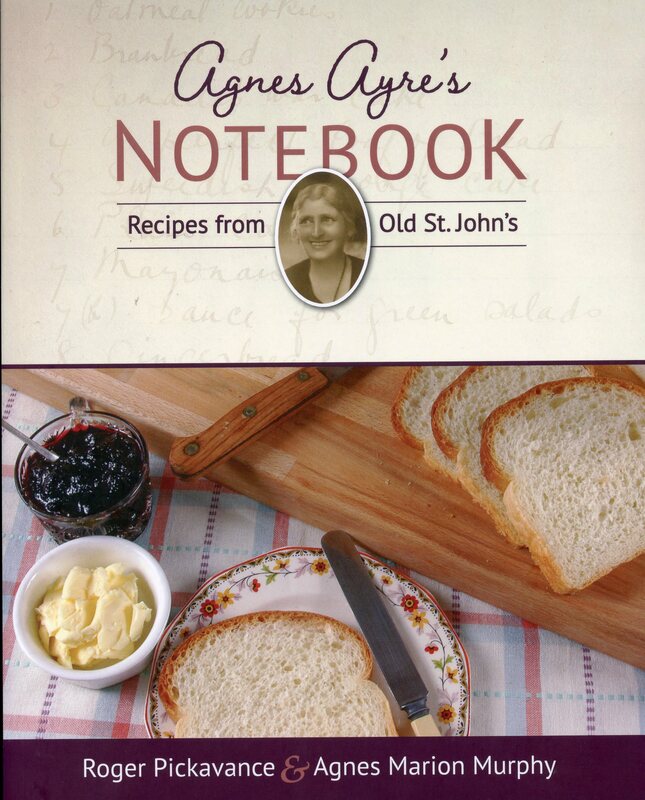 Intrigued by this historical document and curious about what exactly the lady of a middle-class household in World War 1 St. John’s would feed her family, Roger Pickavance and Agnes Marion Murphy (Ayre’s granddaughter) set about cooking all 140 recipes in the century-old notebook. Most worked well, some did not, and many would make a welcome addition to a modern cook’s repertoire.